There are places on earth that you just know have some metaphysical or cosmic or magnetic or geothermal power. You can’t quite put your finger on the source, but you just feel it. My mom always talked about the ley lines or the lines around the earth and act as conductors of energy. These lines appear to produce, almost as if by magic, miraculous spaces and structures. When I was in Ireland, people talked about this like it were common knowledge. One gentleman I met talked expansively about taking long “walkabouts through the hills along the lines” and I had to ask what he meant. He said, as if he were talking about something as benign as fruitcake, “why, the ley lines” and explained that when he was troubled these walks would calm him. 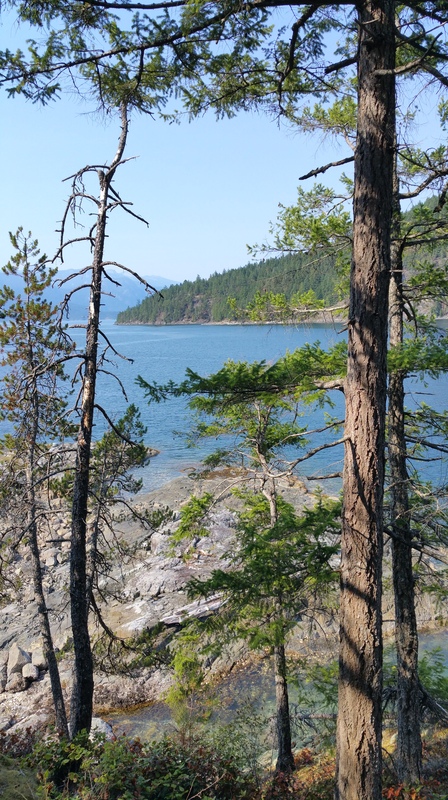 Andy and Liz own 23 acres of the northeastern tip of Nelson Island, BC. 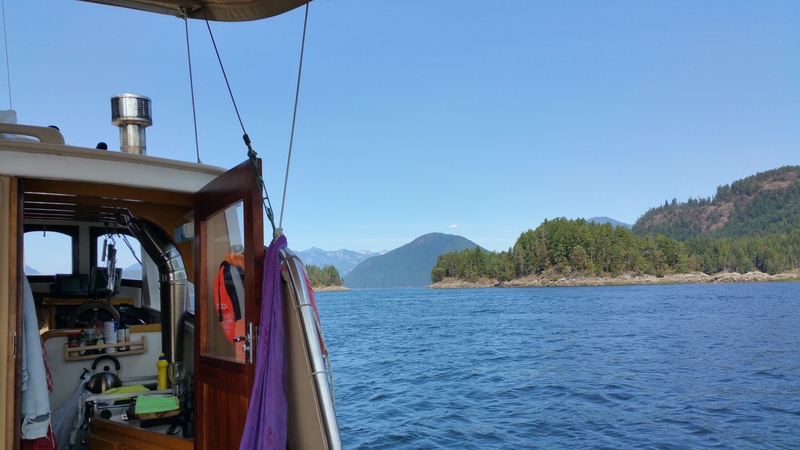 The island itself is some 30 miles long and is snuggled up to the Sunshine Coast. Andy and Liz’s land is literally like a cherry atop the island. They’ve built their sustainable, off the grid compound on a rocky, round, three-acre spit that is separated from the rest of the island at high tide. There is something symbolic about that separation. The drive from Gibsons, a quaint little tourist town just a ferry ride away from Vancouver, is 90 minutes. But as you wind north along the coast, pushing past the seaside vacation spots like Roberts Creek and Sechelt you find yourself surrounded by dense evergreen forests–and we’re talking forests so dense they seem to press the side of your car. The fangs of the mountains creep in the distance and yet every so often there is a glimpse of blue water–you are, in fact, still just a football field away from the ocean. When we pulled past the sign for Egmont, our hosts’ designated meeting spot, I was pretty sure we’d taken a wrong turn. Egmont doesn’t seem to be made up of much more than the Marina & General Store and a community hall. As I was wandering around looking for a restroom, I stumbled upon these two suntanned folks with a mutt and I was immediately struck by how peaceful they seemed. Andy warmly shook my hand, pointed out their boat, named the Black Dave which was “suitably subversive,” we tossed the backpacks on, coaxed Emmett to join us and were whisked off across the inlet to a magical spot. This spot– it’s so gorgeous you hardly know what you’ve stumbled upon until you cart your dog and backpacks and bag full of beers up the driftwood steps to the apex of the island where the yurt sits. From there you can survey the diamond studded water and lichen covered rocks, watch the salmon leap in giant silvery arcs, listen to the wind whisk through the massive pines and the seals slap the water with their bodies. Then, finally, you realize that you’ve never been so isolated and connected at the same time. Perched just at the top of the island is the yurt, completely off the grid. The power is solar and wind generated. Andy and Liz harvest rainwater and utilize compostable toilets–for those that don’t know what that means, you don’t flush anything but waste and it is later used as soil enrichment for the gardens. The goal is to leave as little trace on the environment as possible. As I read the Airbnb description of the space I thought, yeah, sounds really good, eco friendly–cheers to that. Upon getting to know Andy and Liz we were inspired by the sense of responsibility they possess to caretake the land and leave as little human impact as possible. After consuming some of the most incredible pad Thai I’ve had in recent memory, Brian and I sipped drinks with Andy on the wraparound porch, waiting for the darkness to fall so we could watch the Perseid meteor shower. Andy talked about how they found themselves on the island. I was struck (nearly to tears, in fact) by the incredible thoughtfulness they gave to creating a home for themselves there. After years of owning the acreage and visiting via their wooden boat on the weekends, they finally decided to put in a dock. Andy gravely described how they shed tears–it was the first real impact they’d have on this place that they’d been entrusted to care for. This place that had been previously untouched by the human hand now would bear their mark. 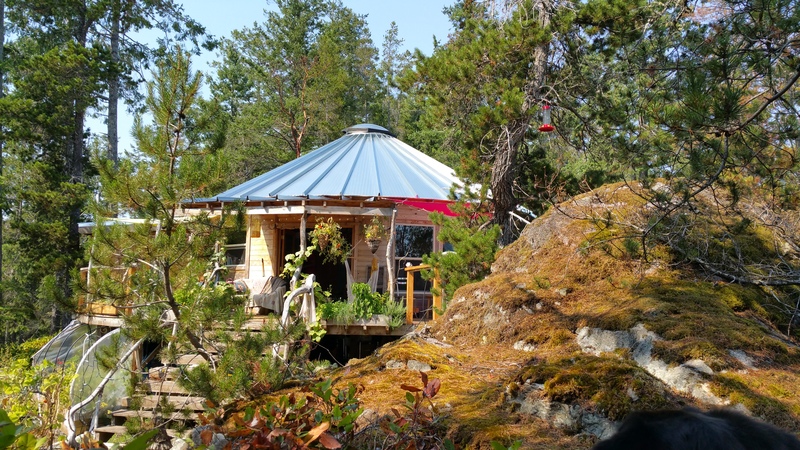 They spent years with a watchful, caring eye trained on all the intricacies and vibrations of the island before building the yurt, the space that would be their home. They knew exactly where the sun would fall at certain times of the day, the wildflowers that would bloom at particular times of the year, and what the views looked like season by season. Only then, after bearing witness to the ebb and flow, did they begin to construct their home. This compassionate spirit and the thoughtful, intentional devotion to the land is what make Andy and Liz so inspiring. Their space exudes this kindness of spirit. It’s star-crossed, in the most wonderful way; the most pristine land and water you can imagine, coupled brilliantly with these incredibly thoughtful people. At the end of our stay, as we got into the car and pointed her southward, we both looked at each other with the same thought in our head. It was as if we’d stepped out of the wardrobe, out of Narnia and back into civilization. Something about the spirit of the island was lost. You can’t take the spirit with you; you leave that bit of yourself there on the island. I wrote most of this blog while on the island, a bit while laying in a hammock and gazing across the cliffs, in my mind while floating in the Pacific Ocean (can we take a moment to marvel at how awesome it is to have the chance to swim in the Pacific as far north as British Columbia? I mean, that body of water is COLD) and in my journal while curled up on the deck with my glass of wine. 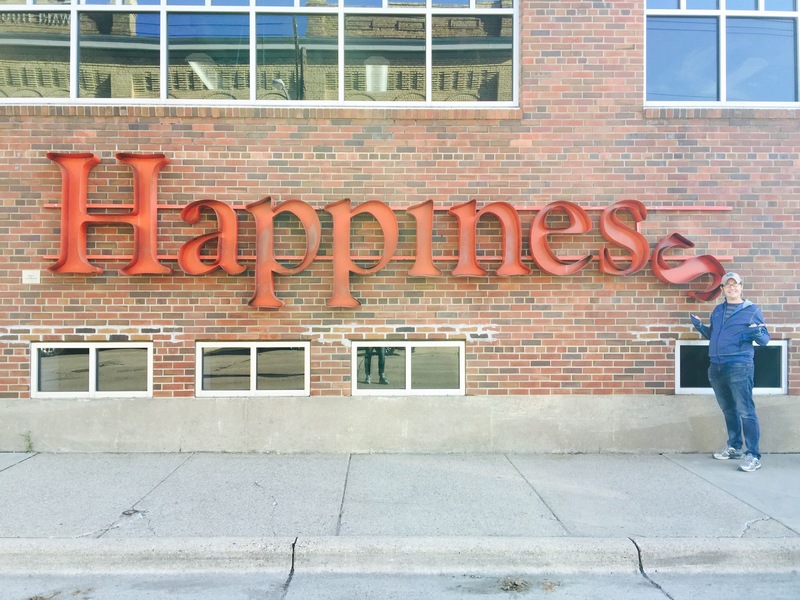 I am so glad–I couldn’t have written it after leaving. That’s the power of this place.